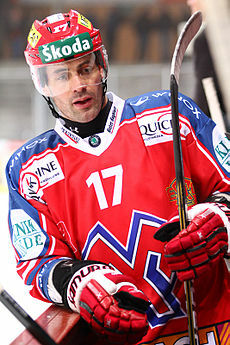 Sébastien Bordeleau (born February 15, 1975) is a Canadian-born French professional ice hockey forward, who plays for EHC Biel. NHL player Paulin Bordeleau is his father. ↑ "EHC Biel extend Sébastien Bordeleau" (in German). EHC Biel. 2010-01-14. Retrieved 2010-08-18. This page was last changed on 23 November 2018, at 12:04.